This image was shot in a nature reserve in northern Spain. Dark rain clouds were forming overhead, which I thought would make a great backdrop for the warmer colors of this giraffe. 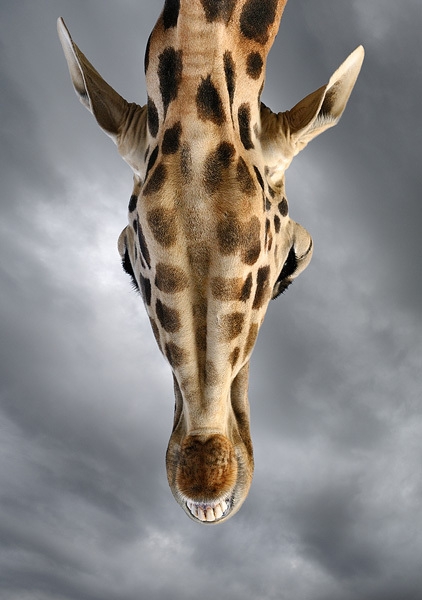 I decided to go for a very unusual angle when the giraffe was towering over me. Shooting straight up gave this slightly confusing perspective that really shows how tall these graceful animals actually are. One of my favorite giraffe shots.